Here is a tune which first recorded by Paddy LeBlanc on a 1960s LP. Paddy was a great friend of Dan R. MacDonald and perhaps the first phrase of this tune subconciously influenced Dan R. to compose Lime Hill. In more recent years Miss Dale was popularized by the late Buddy MacMaster. The above scan comes from The Skye Collection. 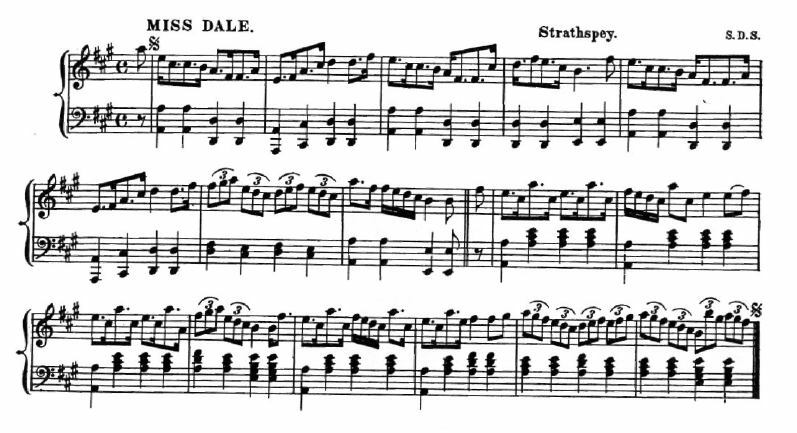 I don't know who S.D.S refers to ... nor if he/she was the composer or merely the editor's source. If somebody knows please email me.